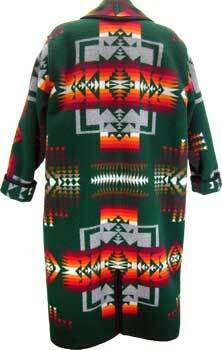 What started in fall of 1984 has grown to the fashion business of Navajo Spirit Southwestern Wear. Led by designer Virginia Yazzie-Ballenger and her award winning Navajo fashions. We have supplied many loyal individual clients over the years,other retail stores,and catalog companies. We are located in Gallup, New Mexico, USA. Our products are hand crafted here from Navajo Spirit's original designs, by Virginia's accomplished Navajo staff. We are dedicated to great customer service.